Oh Wicked…Wicked, Wicked, Wicked…Wiiiiiickeeeeeedd! Where can I begin? 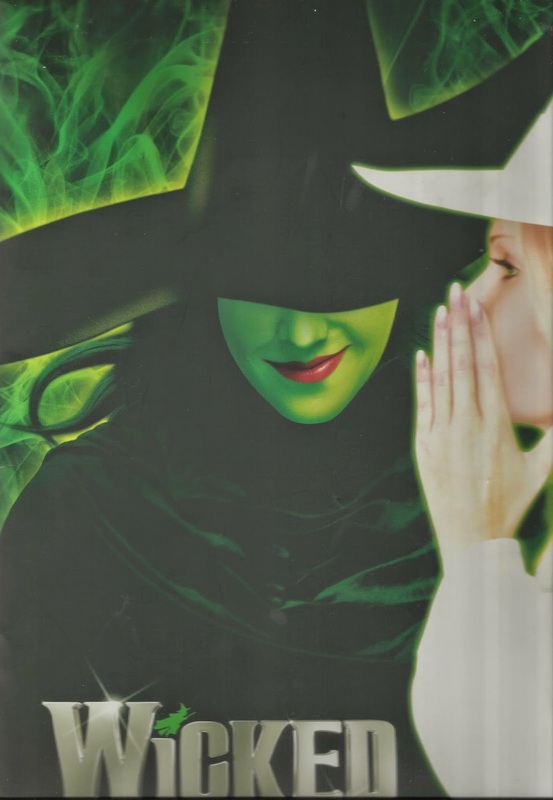 On Monday 14th July I saw Wicked for the third time at the Apollo Victoria theatre, London, with my friend Jess and it was AS magical as it was the first time, if not more so! We sat in the circle in seats O44 and 45 and had a pretty much perfect view of the whole stage. I was so, so excited to see the cast because my absolute favourite female musical theatre performer Willemijn Verkaik is playing the lead role of Elphaba right now and this would be my second time seeing her! Wowee, she was amazing, as I expected. Her voice was so powerful, especially in No Good Deed, and in the more emotional moments, such as I’m Not That Girl and As Long as You’re Mine her voice was so emotive! I can actually not get over how talented she is! Her English accent is actually flawless now as well, and she really nailed the comedy! During ‘what is this feeling’ on the line “every little trait however small […]” she did this hilarious sarcastic impersonation of Glinda’s faffing actions and I couldn’t stop giggling! Acchhhh, she is incredible! Sadly, when my friend Jess (who I have to thank for this ticket as she got them as part of a gift package for Christmas) and I returned home we found out the news that Willemijn would have to cut her run short due to illness/injury and so would be leaving this Saturday instead of in October as planned. That makes me even more grateful to have seen her perform again, before she takes her much needed break (she’s been in the role on and off since 2007 guys!) but yes, all in all she was amazing and truly my favourite Elphaba ever! I was also happy to be seeing Savannah Stevenson as Glinda again! Glinda is a character who occasionally annoys me, I don’t know precisely why and it’s not anything to do with the actresses, there’s just something about the character that I find quite irksome, however, Savannah is amazing! Her voice is so lovely, and she is hilarious in Popular. I also found her ‘just wear the frock, it’s pretty!’ line to be really funny and she put on this extra high voice on the word ‘pretty’ and really elongated the ‘yyyyyy’ sound! Savannah and Willemijn’s For Good was extremely sad and emotional, I was tearing up a little bit because they are so, so good together! But oh my gosh you guys, Jeremy Taylor’s Fiyero though! He is incredible, I loved him because he and Willemijn had such good chemistry, and he was kind of a little bit dorky too, making the comedic lines (e.g. ‘the other castle’ and ‘you’ve been Galindafied’) really cute and hilarious! His voice is brilliant and his dancing was great, he gave a really endearing and energetic performance and I think he is up to now my favourite actor in the role (I’d previously seen Ben Freeman (2012/13 cast) and Samuel Edwards (Jeremy Taylor’s Understudy) who were both very good too, but I just really love Jeremy Taylor’s characterisation!) It was fun to see Sam Lupton as Boq (he’s hilarious and again, really endearing, and I love his voice too, especially in MotWH…It sound’s strange but the only way I can describe it is that his vibrato is full of…character? Thaat really makes no sense, but there is just something about his singing voice that is just so characterful, he tells a story and is very emotive. He’s just very good! Equally Katie Rowley-Jones was Nessa and I’ve seen her all three times I’ve seen the show and she was VERY likeable. I told her at the stage door that Nessa was my favourite character and she said ‘Thank you, she’s my favourite character too’ which was cute! I just love the way she shows the difference between act one and act two Nessa, her act one is really conscientious and quiet, while act two is very stony faced and sad. I like how she doesn’t really play Nessa as a child because she’s not, she’s a young adult, and you can see how her experiences have shaped her, you feel sorry for her as well as feeling distain towards her. I have a lot of love for Nessa and for Katie in the role! The rest of the cast was great, the ensemble was ridiculously strong, and their vocals were perfect! I never want any of them to leave! Over all the performances were all so, so strong, this cast is truly remarkable! Honestly I could probably talk about every scene/ song forever but I won’t bore anyone with that! What I will say though is that if you get a chance to see this cast perform (Kerry Ellis is taking over from Willemijn from Saturday) then totally do because they are a really strong cast. And if you haven’t seen the show full stop (I know a lot of people have, but equally a lot of people haven’t had the opportunity/it doesn’t appeal to a lot of people) then definitely go I you can, because it is a really fun night out, and what you think you’ll see and what you actually do see are wildly different! All in all, Wicked was incredible and I’m so thankful that Jess took me with her!